CUDDLE INN is located in the Heart of Gatlinburg, walking distance to the Gatlinburg Trolley and all that downtown has to offer and yet it offers a cozy tranquil setting. 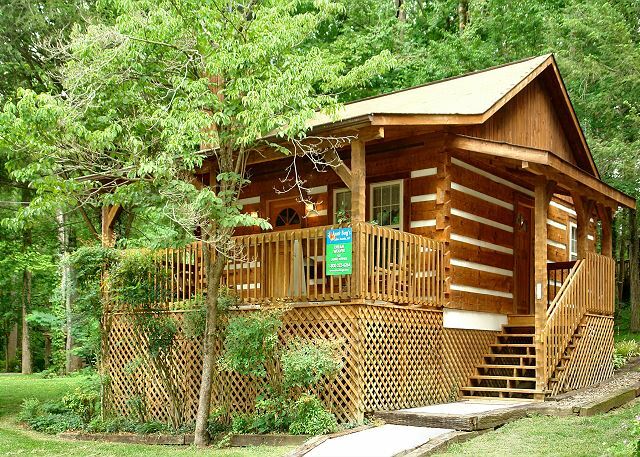 Perfect for a romantic getaway for two, Cuddle Inn offers every amenity to make your Gatlinburg getaway a success. Relax in front of warm fireplace, unwind in your own hot tub or rock your cares away on the porch. The master bedroom comes complete with a king bed and jetted tub for two. Watch a movie or game on your flatscreen TV from the loveseat of your deluxe King Bed. Whatever your plans, be sure they include Cuddle Inn #1529. 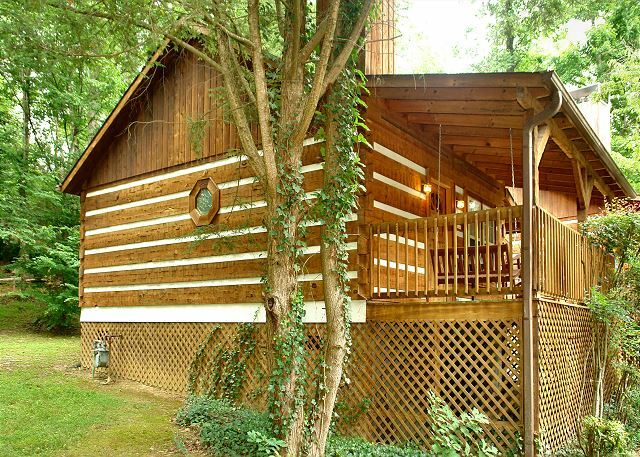 This cabin is just a short walk from the Gatlinburg Parkway & Trolley Route! Pet-friendly. Must register pet at time of reservation. Sorry, no smoking. Book Cuddle Inn today for the ultimate mountain vacation! 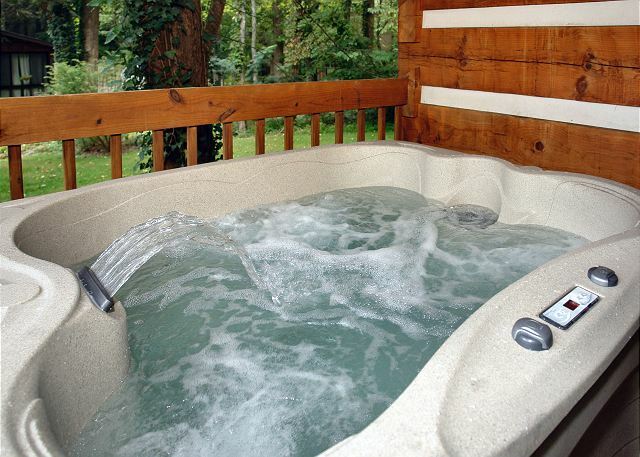 This cabin now has new hot tub for your convenience & enjoyment!